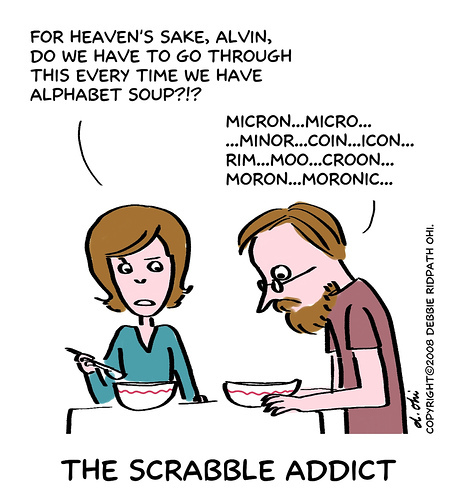 My abiding love for Scrabble hasn’t always exactly translated into useful life skills. But when I started thinking about the names in Twelfth Night, all of a sudden, all that agonizing over anagrams finally paid off! All of these names have the letters “Viola” in them! It’s fascinating to me that both of the characters that are in social status flux lack the extra i in their names that Olivia has, and I think it could signify their loss of identity, in a sense. The significance of Olivia and Viola having near-identical names and dead or thought-to-be dead brothers is also fascinating to me. Olivia’s attraction to Viola, perhaps, hints at their underlying similarities– despite the fact that Viola is dressed as a man and performing a lower social status. Malvolio, meanwhile, unsuccessfully tries to break out of his social status and woo Olivia– but even the letters in his name speak to his differentness.